Bring you lawn chairs & blanket to enjoy some good food and music. Support our local food trucks and musicians – we want them to continue to come to I’On. 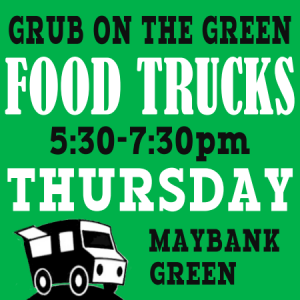 We will have 3 savory trucks as well as a dessert truck. Food truck details to come!